Some would say that there are two types of people in the world, crazy Christmas people and crazy Halloween people, so maybe this just makes us crazy people but we love both! 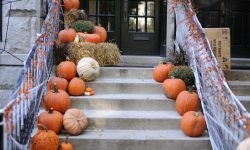 A fully decked out holiday home is just as important as a super spooky one in our book. 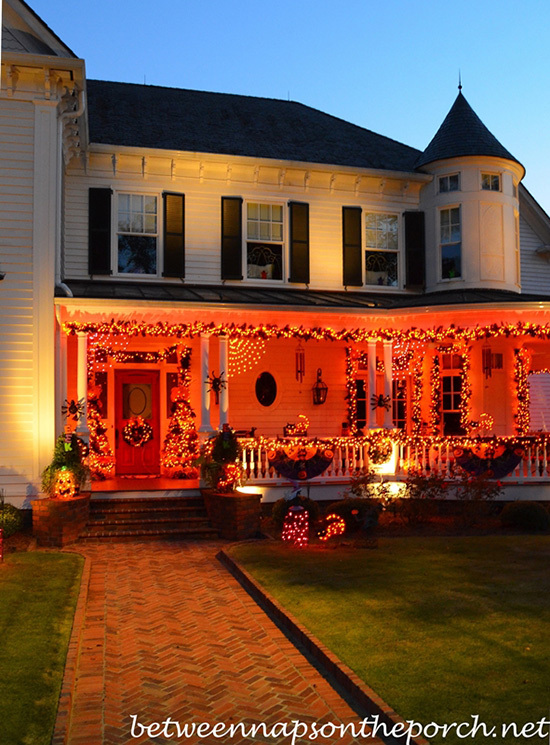 Plus, decorating your home for Halloween is a great way to get your Christmas lights out early. 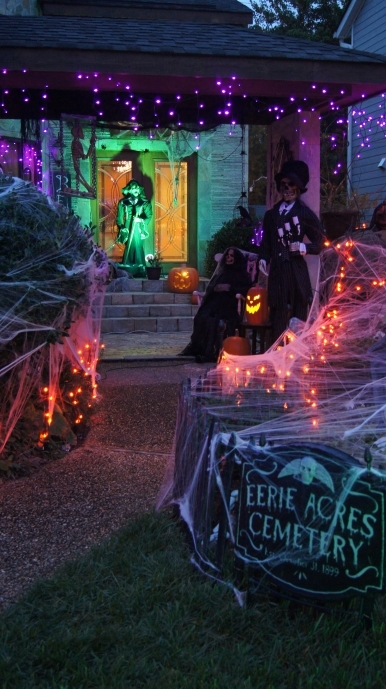 Here are some spooktacularly inspiring Halloween houses that really glow. This stunning Halloween house features classic glowing orange garlands with hints of spiders and bats. 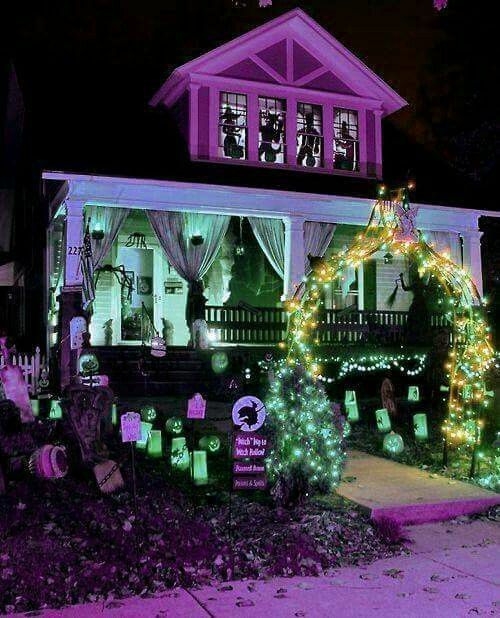 This graveyard themed porch uses orange string lights and purple icicle lights to create an ominous glow. 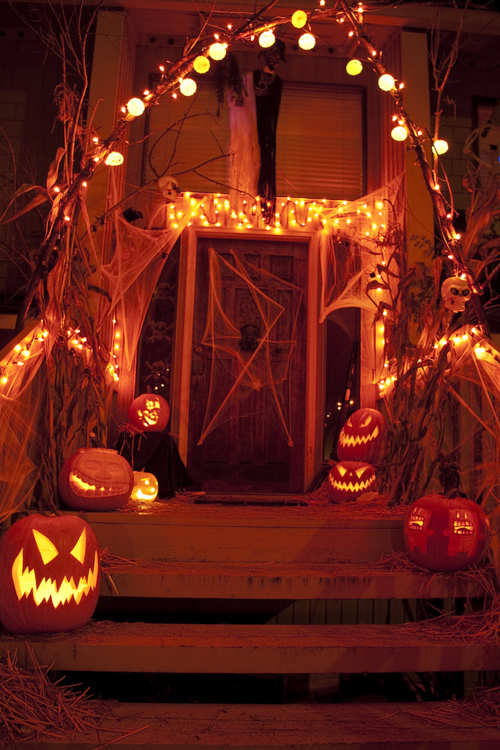 This terrifying door greets guests with fanged grins and an orange-lit archway. This almost glamorous Halloween house welcomes partygoers with a curving archway of lights and a green glowing porch. A few ghouls can be seen dancing upstairs. 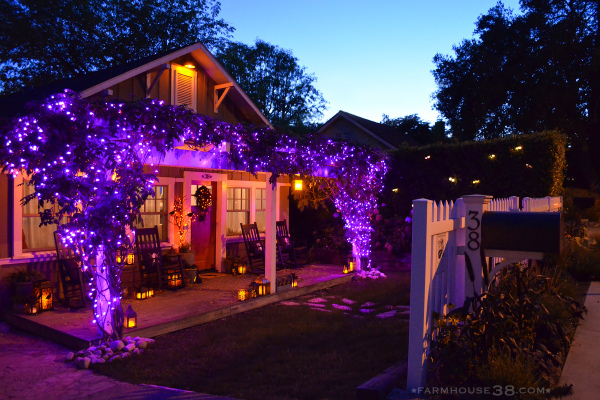 Purple string lights cover all the naturally growing vines along the front of this charming home. Glowing lanterns illuminate the rest of the porch. This yard is full of spooky charm. 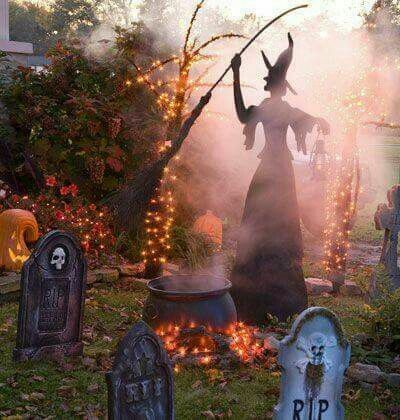 A wicked witch makes her brew among gravestones against a backdrop of orange light-wrapped trees. 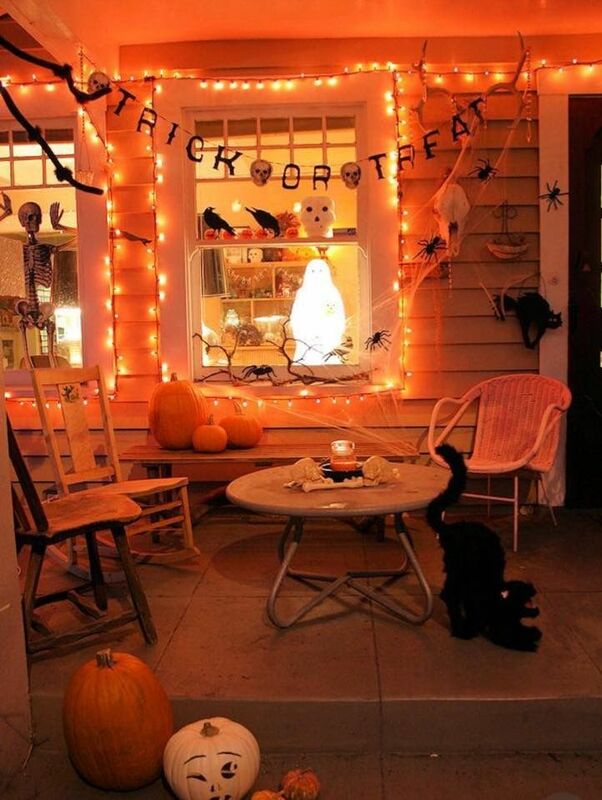 Simple framed windows can brighten up your home for Halloween, as seen in this wickedly wonderful porch setting.